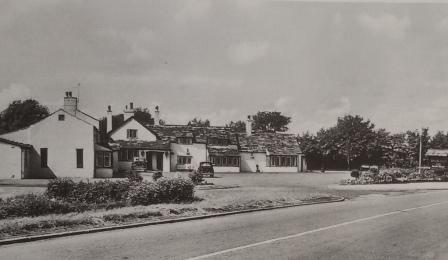 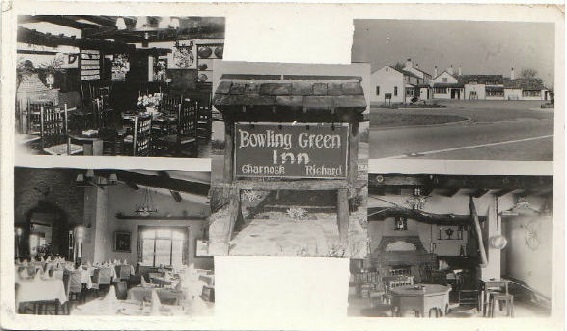 The Bowling Green Inn is 500 years old and is located in the area that was formerly the centre of village life, Charnock Green.The Inn was originally a Coaching Inn and there was also a Blacksmith's outside where people used to change horses. 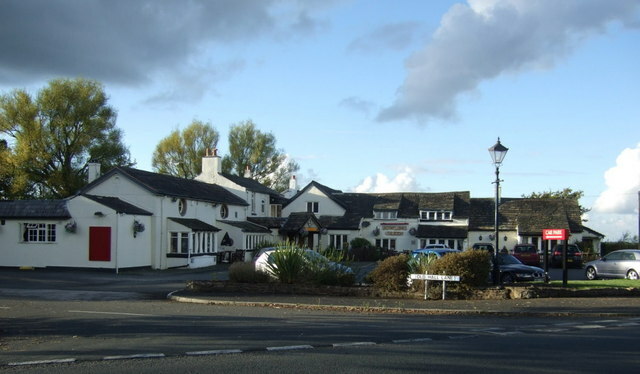 It is half way between Preston and Wigan and one of the oldest Inns in Lancashire. 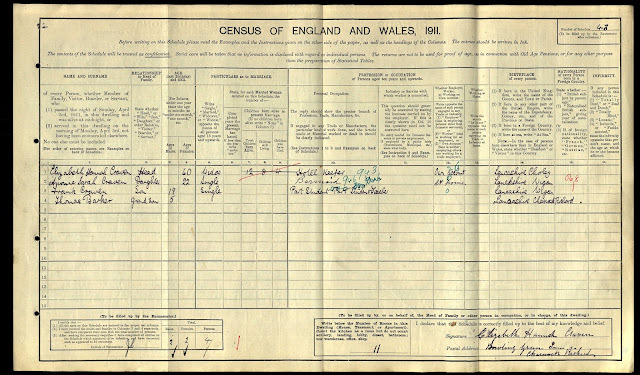 Listed landlords were John Rosbotham (1841-51), Henry Hayes (1861), Daniel Bolton (1864), Catherine Bannister (1866), Robert Cookson (1871), Frederick Busoby (1881), John Winstanley (1891-1901), John Craven (1906-09) and Elizabeth Hannah Craven (1909-11). The Hindley Brewery was based in nearby Wigan and Robert Richardson was a beer seller from Preston who was presumably employed by the brewery around this time. 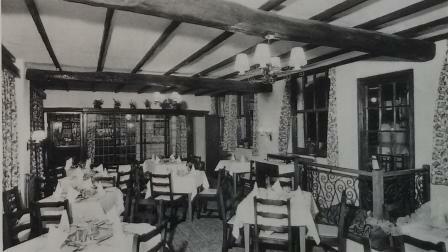 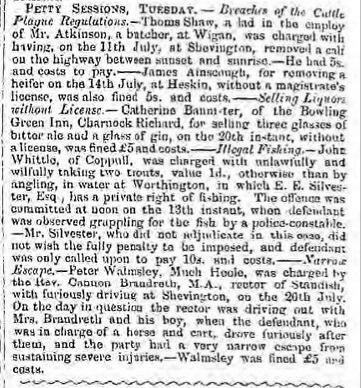 By 1871 he was running his own pub, the Plough Inn on Friargate in the middle of Preston. 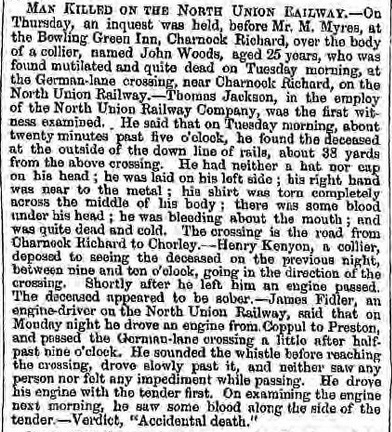 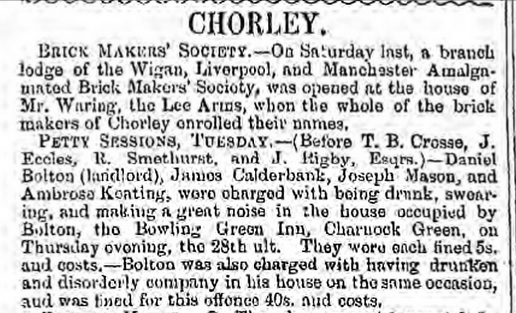 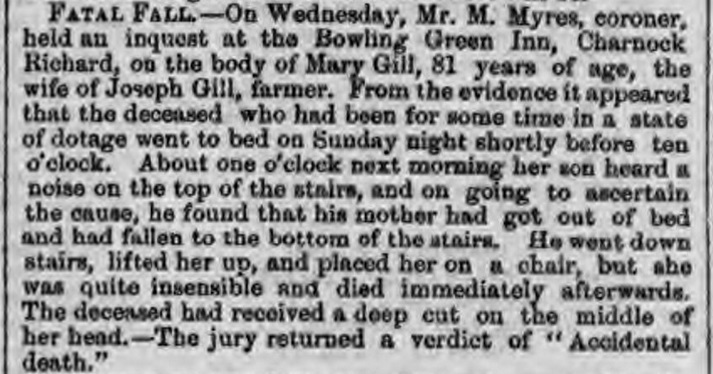 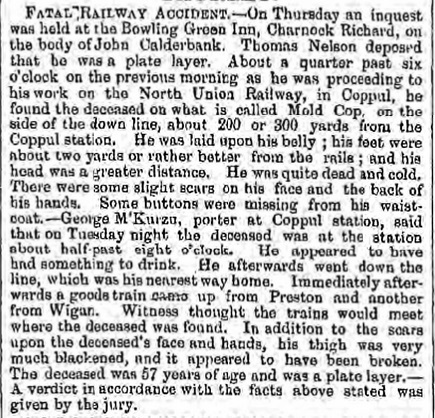 What happened to the brewery remains a mystery but the article below records its sale in 1855, when it had been based at the Red Lion Inn in Hindley and the article below confirms that it continued as a business at least into the latter half of the 1860's. 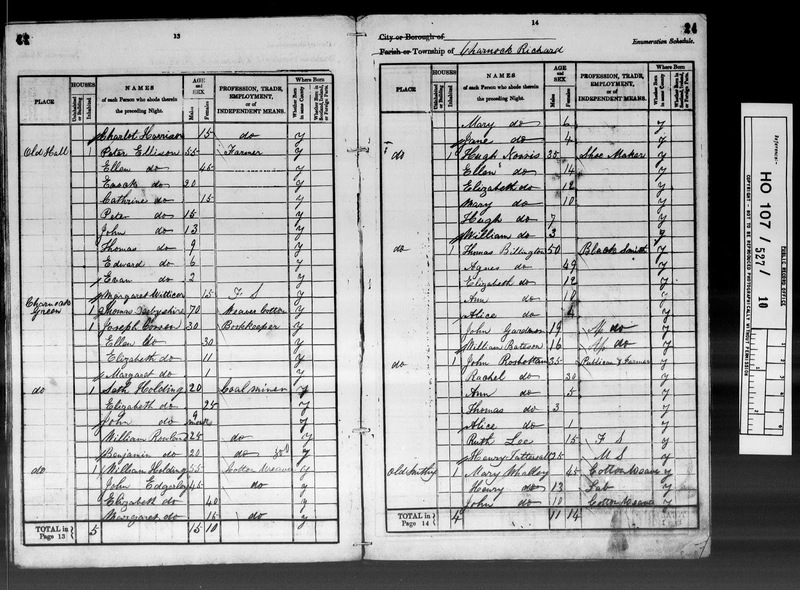 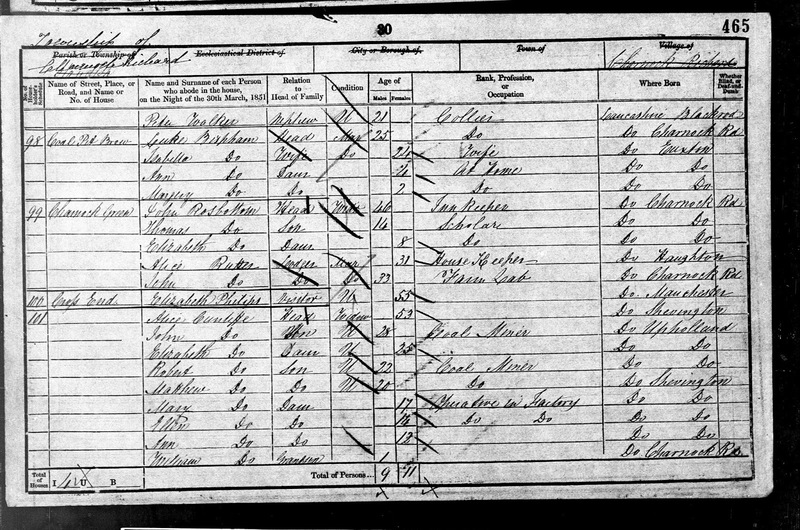 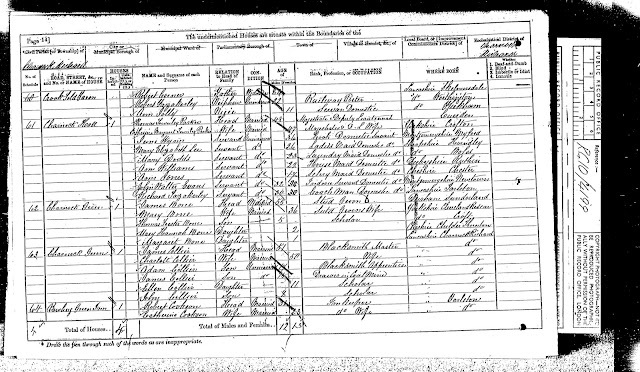 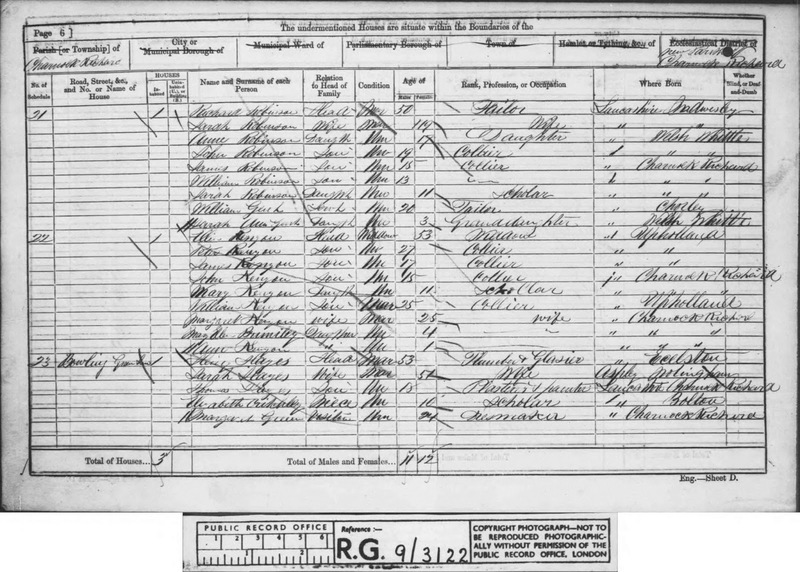 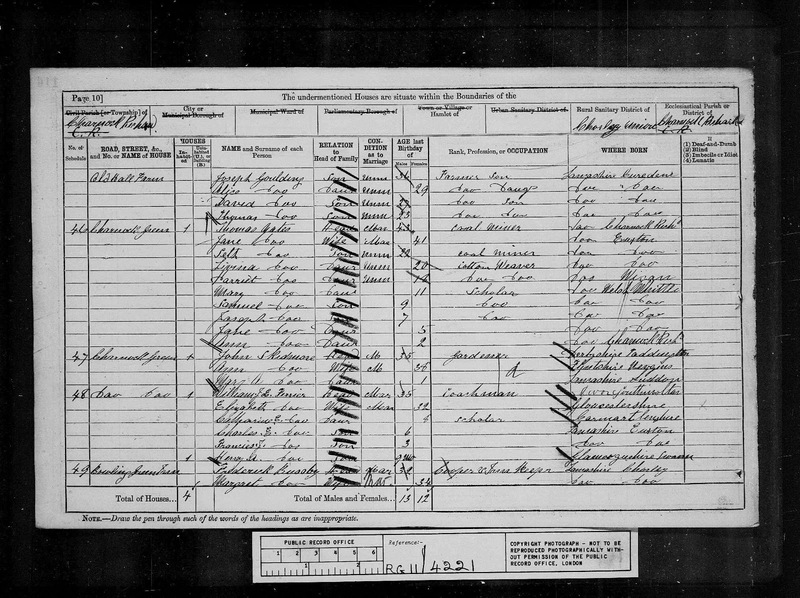 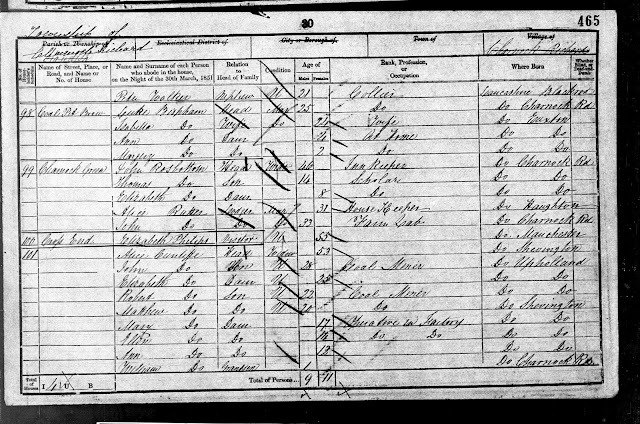 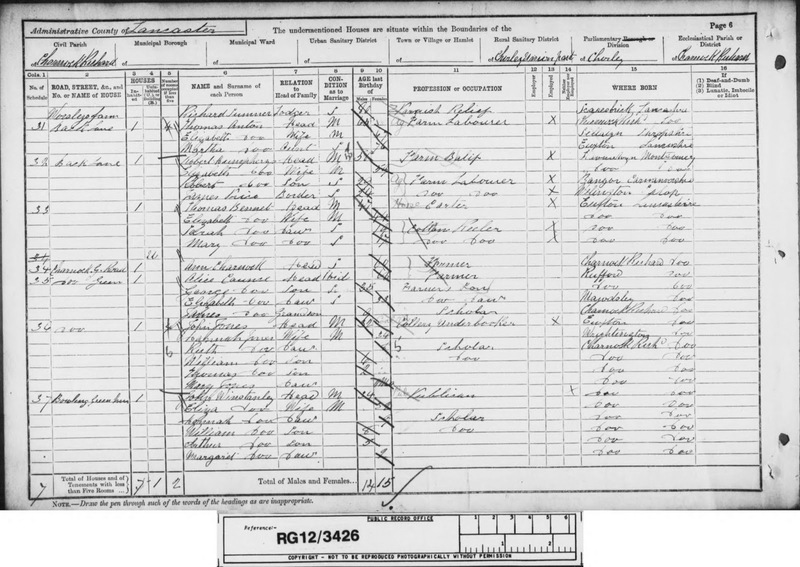 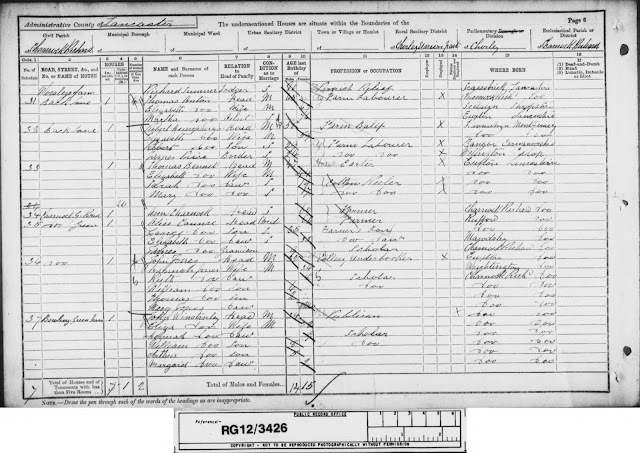 The 1871 Census shows a William Baxendale as the Inn Keeper and Licensed Victualler at the Red Lion and Hindley's Town Directory of 1925 records Richard Parkinson a Victualler living at the Red Lion Inn so brewing beer continued well into the 20th century at those premises. 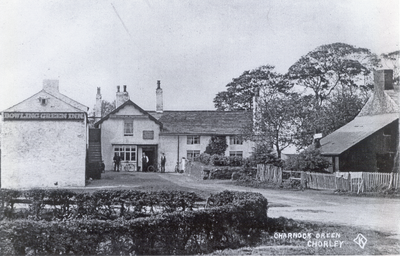 on the extreme right the Charnock shield. 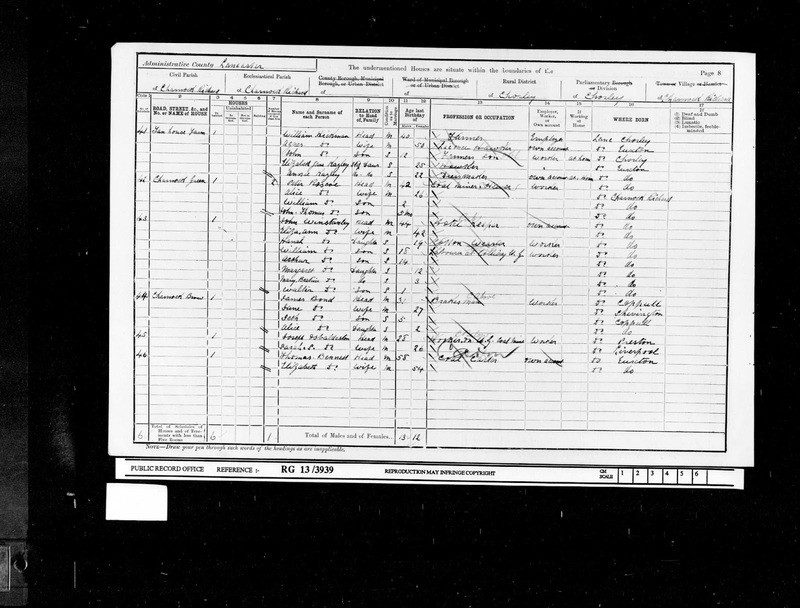 The wording is "Argent" on a bend sable three crosslets of the field. 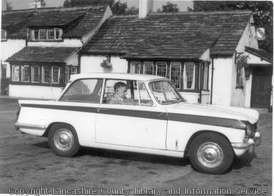 George Birtill in new Triumph Herald saloon. 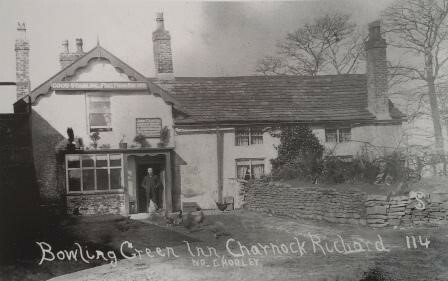 John Craven, named above the door in the first two photos, was the husband of Elizabeth Hannah, who took over after his death in 1909. 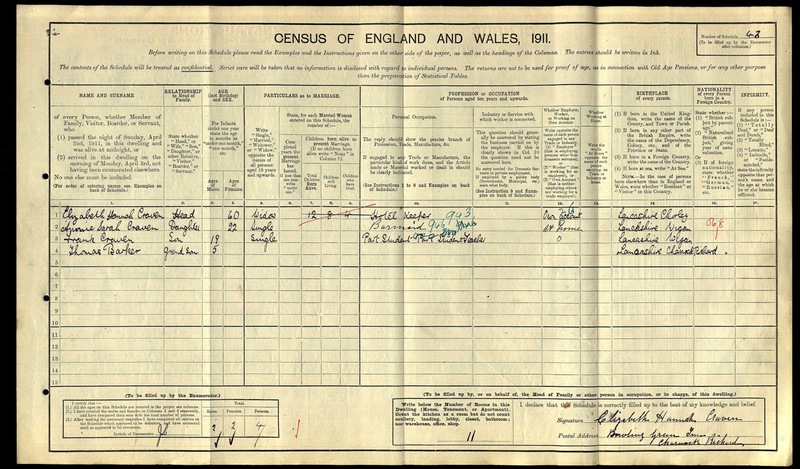 In 1901 the family was in Shevington, but the birth of Thomas Barker in Charnock early in 1906 hints that John took over around then - Margaret Craven married Albert Edward Barker in late 1905.